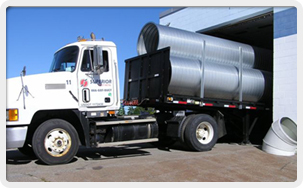 Superior Sheet Metal, a Veteran-owned company, is a fabricator of high quality spiral and rectangular duct work and fittings for the HVAC Industry, servicing the New England area; Superior fabricates single and double-wall duct and fittings as well as specialty items. 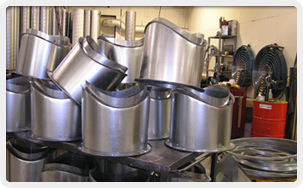 Superior Sheet Metal, operating from a 25,000 square foot state of the art shop, can provide the HVAC contractor with an excellent source for fabricated duct work and related items. Superior Sheet Metal is run and managed by people who have been in the trade for years, as installers, shop workers, shop foremen and managers. We understand the business, and what it takes to provide first class product and service. Superior Sheet Metal is here for you, the contractor; to assist in any way to help get you the quality product you need, WHEN YOU NEED IT, where you need it. We program most of our customers right into our Nextel system for immediate communication, great for last minute changes.